Bring broth and rice to a boil in a large sauepan. Stir in the spinach and 1/3 cup of Parmesan; season with pepper. Reduce heat to a simmer. With a wooden spoon, swirl the soup in a circular motion while pouring the eggs slowly into the soup. Simmer for 1 minute. 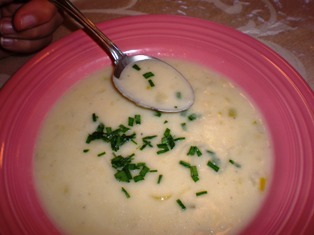 Divide among 4 soup bowls and sprinkle with some of the remaining Parmesan. In a medium saucepan over moderate heat, combine olive oil, onion, and garlic. Saute for 5 minutes. Add the diced and crushed tomatoes, and the stock. Stir to combine. Bring the soup up to a boil and stir in spinach. Season with salt and pepper. Reduce heat and simmer, uncovered, 15 to 20 minutes. 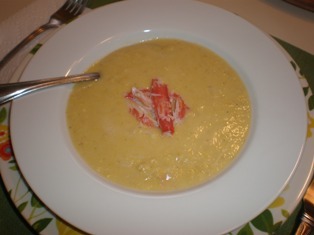 To serve, sprinkle individual servings with Parmesan cheese. Cut chicken breasts into bite-size pieces; set aside. Heat olive oil in a large stockpot over medium heat. Add the carrots, parsnip, onion, and celery and sauté 5 to 6 minutes. Add the bay leaves, salt and pepper, and broth. Cover and cook for 10 minutes. Add the chicken, pasta, and parsley. Cook another 10 minutes or until pasta is tender. If the soup is too thick add some broth or water. Heat oil in a large stockpot over medium-high heat. Add the onion and garlic. Cook for 3 minutes. Add the kale and sauté for 1 minute. Add vegetables, tomatoes, pasta, broth, water, salt and pepper. Simmer, uncovered, until vegetables are tender and pasta is cooked, about 10 minutes. Mash half of the beans with a fork or process in a food processor. Stir the mashed and whole beans into the soup. Cook another 5 minutes. Serve in individual bowls sprinkled with Parmesan cheese. For the best tasting soup, it's important that the pasta stays firm and doesn't get mushy. Pasta naturally soaks up liquid, and it will continue to to soak up whatever broth it is sitting in, even after the soup is done. There are a few ways to minimize this. Before you add the pasta, make sure that the soup is almost done. Everything else in the soup should finish cooking in the same short time that the pasta needs to cook. If there are beans in the soup, be sure that they are almost completely tender before adding the pasta. Once the pasta is cooked, take the soup off the heat, and serve it. When freezing the soup to eat another time, cook the pasta only halfway or omit the pasta and wait to add it when you defrost and re-heat the soup. In a large saucepan, heat the olive oil over medium-high heat. Add the onion; saute until just starting to brown, 3-4 minutes. Add the garlic and red pepper flakes; saute for 30 seconds. Add the kale, dried oregano, salt and pepper. Saute until the kale is wilted, about 3-4 minutes. Add the broth, beans, and diced tomatoes. Simmer the soup for 15 minutes. 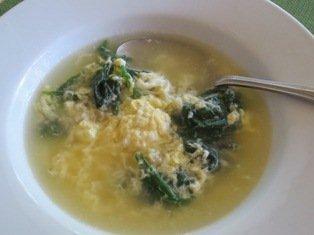 Ladle into bowls; sprinkle with Parmesan cheese. Philips Airfryer is the world’s #1 Airfryer with over 7 Million units sold.